A comprehensive comparison study of VROC® technology powered viscometer and cone & plate rotational rheometer measurements. Figure 1. 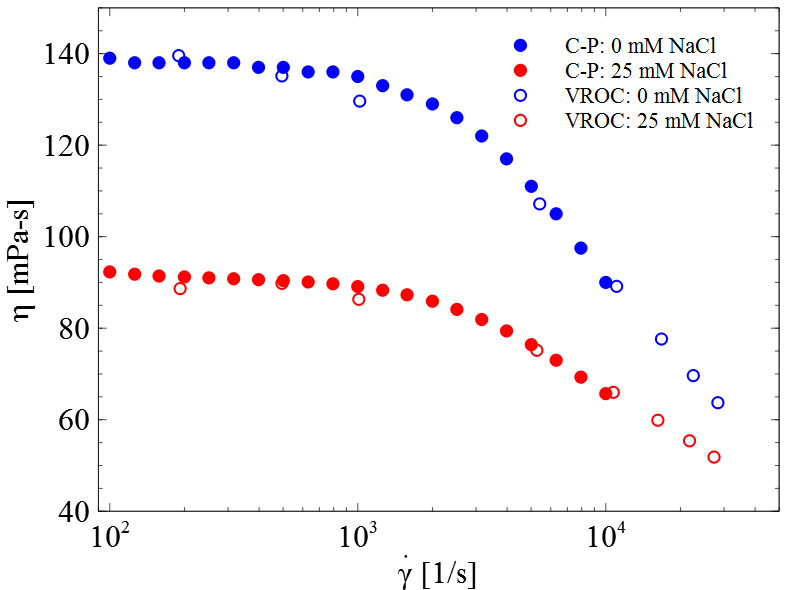 Comparison for the viscosity of monoclonal antibodies measured with m-VROC® viscometer and Cone & Plate rheometer . In this application note, we present three sets of data supporting excellent correlation between cone & plate rotational rheometers and m-VROC® viscometers for the measurement of viscosity as a function of shear rate. Additionally, a brief description of the most important features and major differences between these two instruments is provided. Zarraga et al., Journal of Pharmaceutical Sciences, vol. 102, no. 8, 2013. The ultimate viscosity fingerprint automatic viscometer! Learn more about RheoSense's newest viscometer VROC® initium. 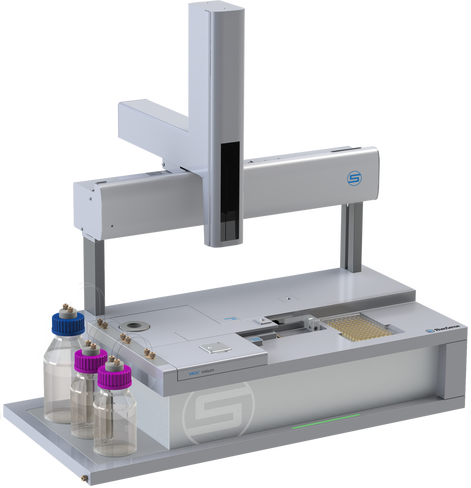 This instrument enables automatic viscosity fingerprint characterization of your formulations. Check out our application note on the accurate characterization of non-Newtonian standards and other fluids by applying Weissenber-Rabinowitsch-Mooney correction. 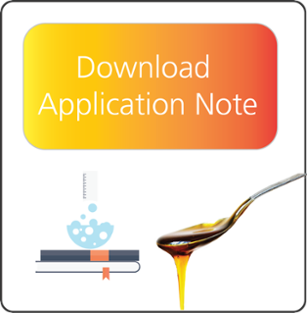 Check out our application note comparing viscosity measurements and time requirements of microVISC™ and capillary viscometers. You guessed it! We were faster!